It is a very simple and extremely important procedure. Just like many other house maintenance tasks, maintaining functional and properly operating GFCI outlet receptacles will ensure that you and your family are protected from a ground fault. Never paint GFCI outlet receptacle! If you’ve just moved into the house and installed GFCI’s are covered with paint – replace them immediately. Removing paint from their surface is not enough, even if Ground Fault Circuit Interrupter appears to be responding to the test buttons. 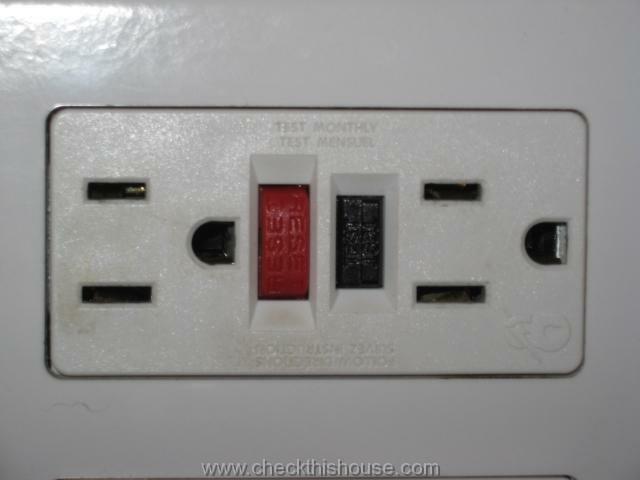 Never insert into an outlet receptacle objects other than a plug designed for its configuration. Avoid spilling liquids onto the device – it could result in permanent damage or malfunctioning. 5. If the tester fails to trip GFCI outlet, there is either some wiring problem or faulty GFCI outlet – call a licensed electrician I highly recommend to familiarize yourself with currently required GFCI locations and if you decide to upgrade your home with those safety devices, I have a GFCI installation manual ready for you – enjoy it :-). This is it, you’ve just learned how to perform basic GFCI maintenance and testing – don’t forget to do it on monthly basis.